Search engine optimization is a great way to broaden your online presence. While you are searching for the best SEO services online, you are likely to find a lot of them. Exploring each of these services in detail can get you into confusion. If you want your website to have great rankings on Google and other search engines then you need to take a note on the following key seo strategies. Content is King and everything for a site. Actually, a website in a way is an internet tool to provide information to the users. If a site can’t achieve this then it can steer away users and get a poor ranking. Ultimately, users drop down to the core and decide whether your website is good or not. The content on your site should educate the users. It can be about the products you host or any other matter you want to convey. Also site with the proper use of keywords in the content gets recognized by the search engines. Moreover, for boosting your sales you must have a competitive advantage against others. 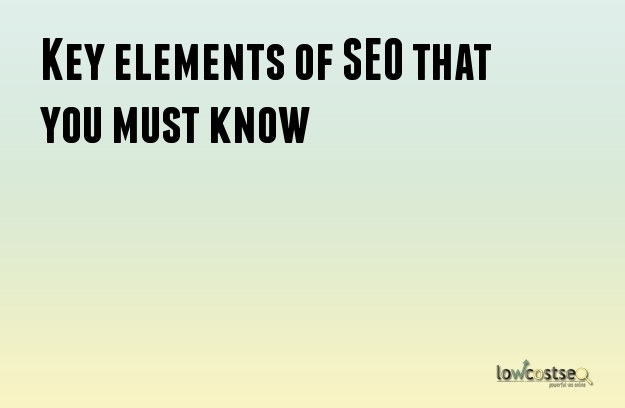 Back links are the next important elements in the process of search engine optimization. One must note, that having a large number of back links to a site is not a great deal. Creating quality links is of greater importance. These quality links should always point back to the site. To build quality back links create monthly press releases on contact blogs and reputed companies that are related to your business niche. Devise strategies to get the back links posted on their sites to point back to your site. Also use interesting graphics to trigger blogs and news sites linking back to your site. Emergence of social media has changed the rankings of many sites on the search engines. Ecommerce sites should create a community relationship with the customers by using twitter, Facebook and Pinterest social media networks. With the help of social media sites one can make a good influence and authority on the search engine. Keyword research is one the best tools to drive the right traffic to the site. By using google ad words find out the relevant keywords that are best to overcome the stiff competition from other sites. If you find that some of the keywords in your niche are too competitive, go for longer keywords to have less competition on the phrases. To have a good impression about the products having quality product images is important. Your site will have a better chance of getting good ranking if you use images that are clear and relevant to the keywords.